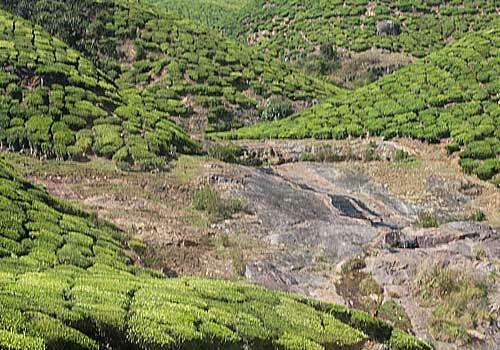 Kolukkumalai hill in Munnar is that place where you can see the famous Kolukkumalai Tea Plantations which boasts of the famous Kolukkumalai Tea. 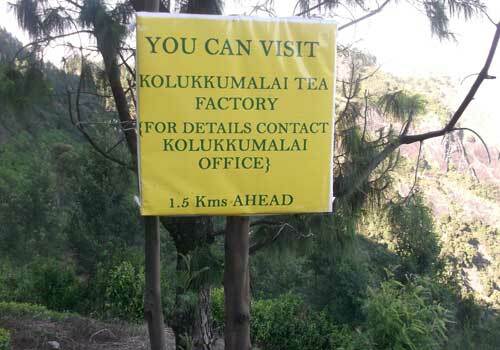 The tea produced at Kolukkumalai tea factory is known for its unique taste and high quality. Located at about 7,900 ft above sea level, the Kolukkumalai tea plantations are considered to be the highest tea plantations in the world and is located around 30 kms from Munnar Town. The route from Munnar to Kolukkumalai hill is really an amazing experience as you will be riding through the narrow width road that leads to Suryanelli and then to Kolukkumalai. If you are willing to have an adventure experience while on your trip to Munnar, then there will be no better place than the Kolukkumalai tea plantations. 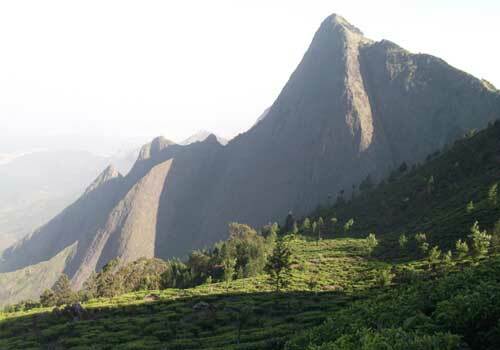 The Kolukkumalai hill offers a splendid scenic beauty along with an amazing adventure experience. 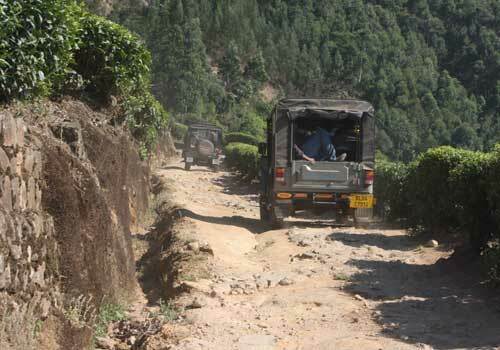 Only heavy offroad vehicles can get through the rough road inside the Kolukkumalai tea estate and only drivers with enough expertise can drive through the hills. The natural beauty, the wild off road paths, the Echo point, the tea factory all makes your trip to Kolukkumalai hills more interesting. If you are not pretty confident about your driving, then you can hire Jeeps just before arriving at the Kolukkumalai hills which may cost around INR 1500. But the amount is worth as you will be able to enjoy an amazing offroad adventure experience through the hills of Kolukkumalai. Initially the road leading to the peak may look smooth, and as you drive deeper, you can see the changing face of the road as it becomes too rough and rocky. You might even wonder how a jeep will ride to the top of the hills, but the experienced jeep drivers will take you there. During the course of your offroad adventure ride at Kolukkumalai, you might even think of jumping out of the Jeep due to the wild nature of the road. The jeep will climb the road shaking all over the way and jumping from one rock to another. It is better recommended not to take the ride if you are not physically fit as you might get more exhausted and might also lead to vomiting. 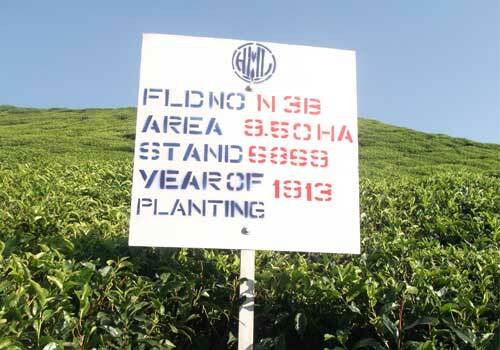 After taking the off road jeep drive for about 15 kms, you will reach the top of the Kolukkumalai hill and there you can see the display board of Kolukkumalai tea plantations. 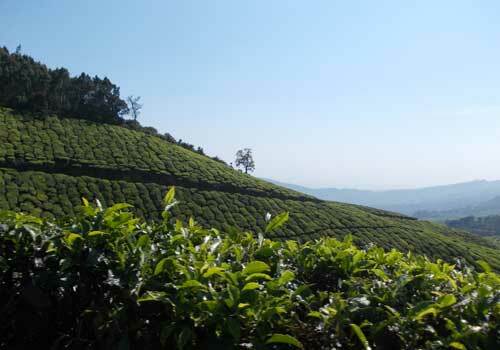 Now you have reached the top of the world’s highest organic tea garden and will be able to get an amazing view of the natural beauty. At the top of the hill, you can get down from your jeep and take a small walk as the path now is plain and almost smooth. 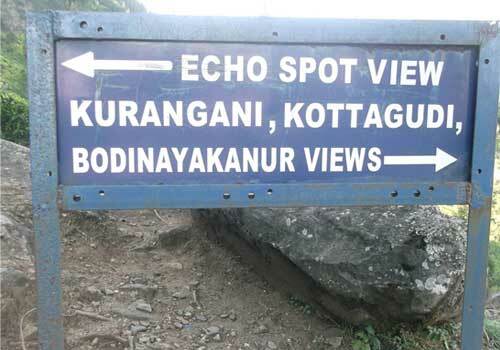 A few minute’s walk will take you to the Echo point which is one of the highest place at Kolukkumalai hills. Here you can take some rest, capture some images on your camera, have a small snack (if you have brought along with you) and enjoy the amazing beauty of the surroundings. If you look beneath the top point of the hill, you can see and get an idea of how high you have rode on your jeep and how spectacular your off road adventure was. If you have viewed and enjoyed enough of the natural beauty, then you can take your ride back to the bottom of the hills. Again you will be able to enjoy an amazing offroad jeep adventure ride on your way back and this is an experience you will never forget in your whole life. Kolukkumalai hills is a travel destination in Munnar which is yet to be touched by a vast number of travelers and still remains largely untouched, due to which the hills and its surrounding maintains and preserves its beauty and resources. So if you are an adventure freak and at the same time a nature lover, then it is highly recommended to visit the Kolukkumalai hills and take the adventure ride on the jeep to the top of the hill. There are a lot of travel agents and tour operators which might help you in making a trip to Kolukkumalai hills and exploring the beauty of the hill to the fullest. This entry was posted in Munnar and tagged adventure at kolukkumala, kolukkumalai hill, kolukkumalai munnar, kolukkumalai tea plantations, offroad adventure kolukkumalai. Bookmark the permalink.